Land prices have sharply increased in the past month in the centre of the Central Highlands tourist hot spot of Dalat. 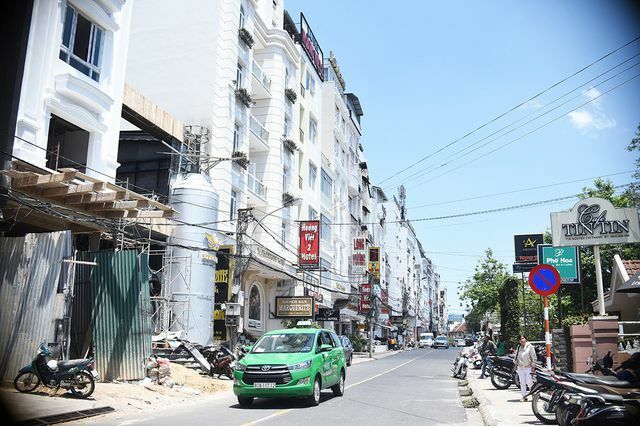 Land on Nguyen Chi Thanh and Phan Boi Chau streets are being set as high as from VND200 million (USD8,735) to VND250 million per square metre. On some streets including Nguyen Chi Thanh, Bui Thi Xuan, Phan Boi Chau, land prices are being set as high as from VND200 million (USD8,735) to VND250 million per square metre. Since the Lam Dong Provincial People's Committee announced a plan in which the Hoa Binh Theatre area, covering 3.37-hectare in downtown Dalat, will become a controversial modern services and entertainment complex that involved the removal of historic buildings, land prices in some surrounding areas have soared. According to a local real estate dealer, the highest land prices in this area stood at about VND150 million a square metre last year but now has reached over VND200 million. The dealer speculated that prices may soon reach VND300 million per square metre for land lots on some streets such as Nguyen Chi Thanh, Bui Thi Xuan, Phan Boi Chau or Le Thi Hong Gam. In some narrow lanes where land used to be sold at VND20 million (USD874) per m2 but now set at VND70-80 million. Nguyen Huu Thien wanted to sell an 86-square-metre land lot on Le Dai Hanh Street. He said the price was VND17 billion (USD739,130) and many people had expressed an interest. On some real estate trading websites, land lots in the centre of Dalat have been put on sale at between VND300 -400 million per square metre. However, some real estate experts have warned people that these are just bubbles and not realistic prices for land in Dalat. A local expert, Nguyen Nhu Binh stressed that the real prices for land in this area should be half what sellers are claiming. Binh urged local authorities to investigate and resolve the problems. Account Name or Password is incorrect! Have you account ? Register now.